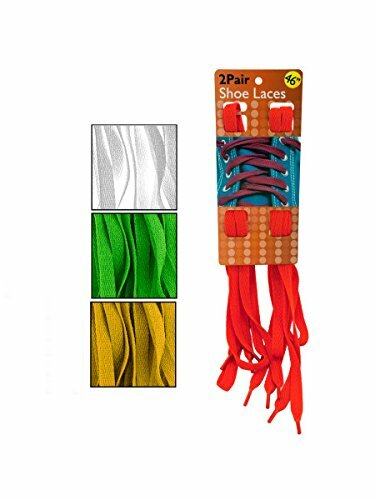 These bright and colorful shoelaces can be coordinated to match shoes, outfits or sporting events! Also brings new life to old shoes. Colors are assorted and include: green, yellow, white, blue, teal and fuchsia. Each pack comes with 2 shoelaces in a single color. Shoelaces measure 46" from end to end.